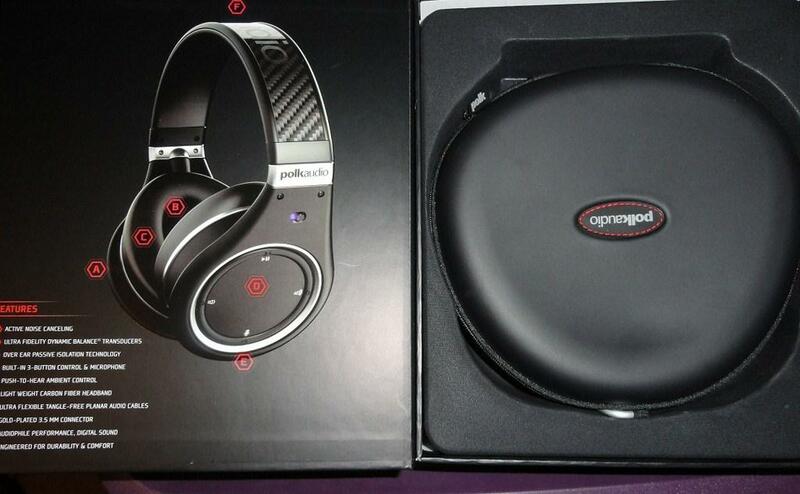 Back in January, out of all the products we saw at the 2012 Consumer Electronics Show the one that piqued my interest the most was probably the Polk Audio UltraFocus 8000 active noise-cancelling headphones. I have reviewed many Polk Audio products over the years, but this was the company’s first foray into the premium over-the-ear headphone product lineup and I was interested to see how a speaker company would do making the transition. After spending some time with the UltraFocus 8000s, I think Polk has seamlessly made the transition from speaker to headphone manufacture without missing a beat. It came as no surprise that the Ultra Focus 8000 headphones were packed with care and the box contained everything you could possibly need to enhance your listening experience. With the MSRP hovering around $350, Polk made sure that the consumer is getting the premium value that they invested in them. 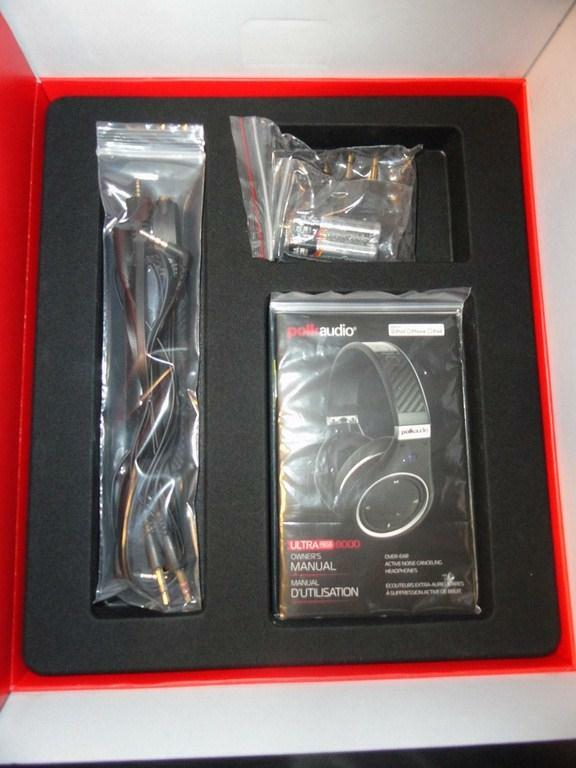 Inside the display box, the headphones were packed in a soft-sided case that was protected by a fabric lined plastic tray. The case is more round than square and comes with an aluminum carabineer attached as well as a fabric pocket on the outside. 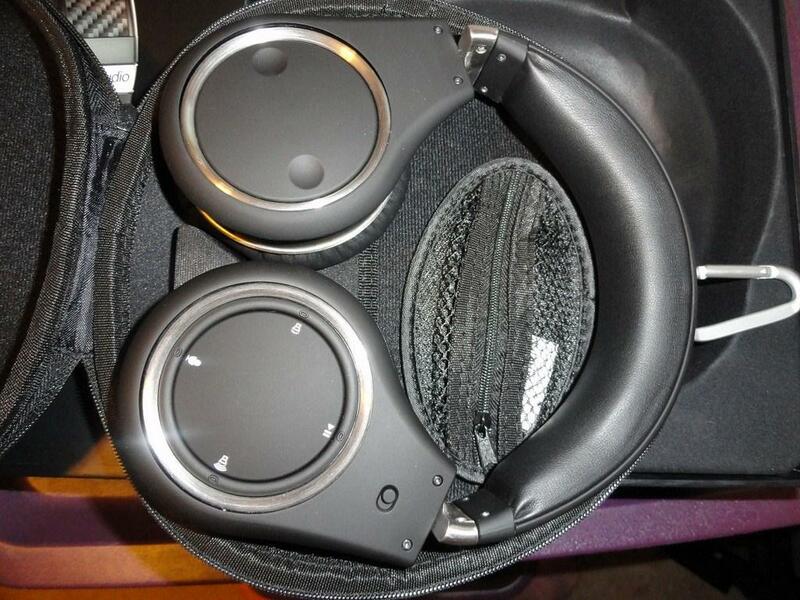 Internally, the case has raised mounts for the ear pieces to be set in as well as a mesh bag that is attached by Velcro so that it can be moved around. The bag is big enough to hold all of the included adapters (Skype, Airline, Nokia and 1/8”) as well as some spare batteries. Other items included in the box are two AAA batteries, shirt clip, Quick Fit Guide, Owner’s Manual and an online registration card. As I admired the look of the UltraFocus 8000, the phrase that kept popping into my head to describe them was an “elegant beast.” And trust me, that is in no way a slight, as these headphones are as beautiful and sleek as they are powerful and bold. Anywhere you look, the headphones are overbuilt to be able to deliver best in class comfort, durability, sound and style. 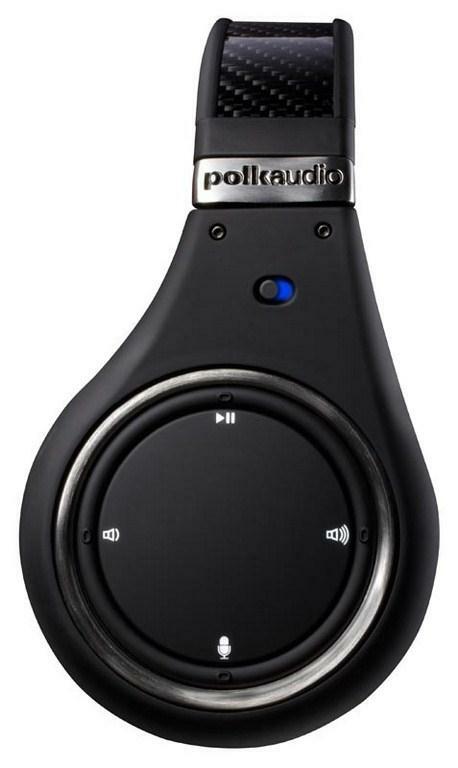 The one thing that jumps out while looking at the Polk UltraFocus 8000 headphones are all of the little attention to detail aspects of the design. These include a recessed port for stability of the single wire connection for headphone/microphone and the design of the joint where the ear pieces fold flat. The top of the headband features a Kevlar pattern with the Polk Audio name embossed within it that only is visible when at certain angles in the light. The ear pieces have a matte finish and are very clean (even with all the controls on the right ear piece) and unassuming. One cool touch is the recessed Polk Audio logos on the metal joints where the headband meets the ear pieces. These are as durable as they are cool looking, so those around you will know exactly what brand those beautiful headphones are that you are sporting. 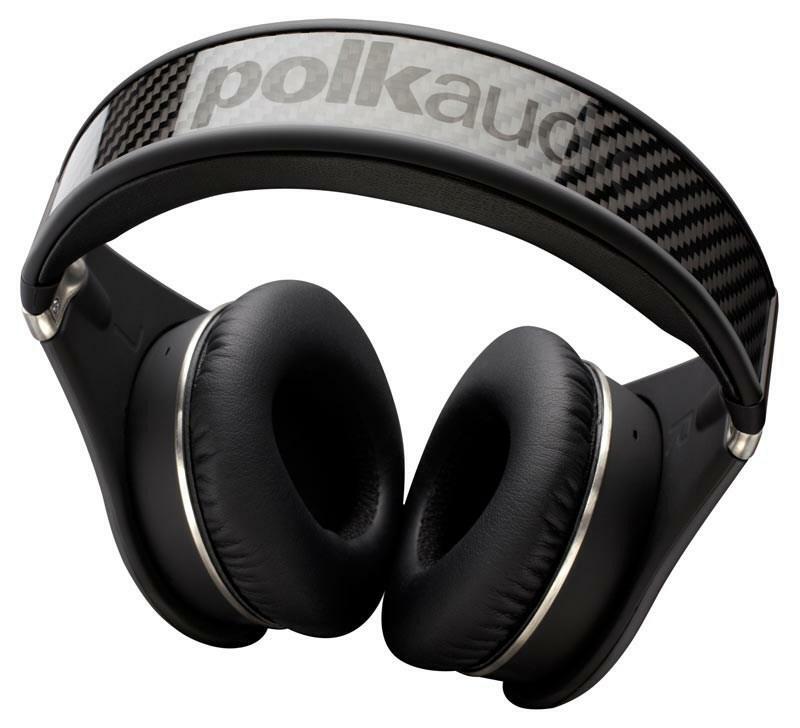 The bottom line is that the Polk Audio UltraFocus 8000s look as good as they sound, as Polk Audio did a nice job of mixing the steel accents, matte black and Kevlar pattern to create a very elegant looking headphone. You can tell that they paid as much attention to the details in the design of the headphones as they did to the audio drivers that deliver its sound. 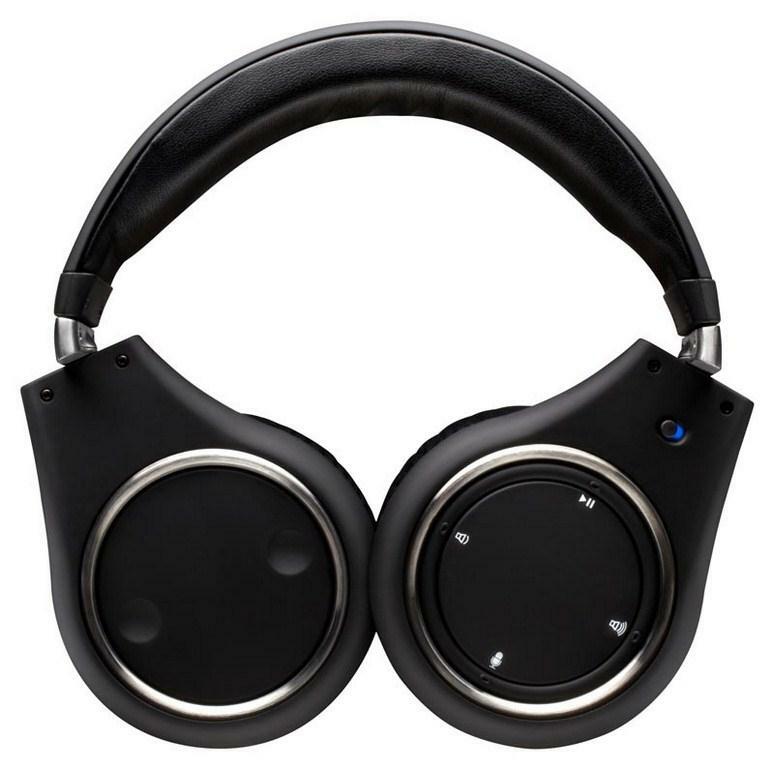 Unlike most headphones where the command center is located in-line with the cable, the UltraFocus 8000’s is located on the right side of the headphones. It contains the power switch, as well as a four-point rocker switch that allows the wearer to play/pause (Up), Volume down (left) and volume up (right). You can also use advanced controls with phone calls to answer/hang up (up) and advanced music controls such as skip forward (up x2) or back (up x3). Lastly, the down button is the push-to-hear ambient control, which allows you to mute the audio coming through the headphones and amplify the outside sounds. A couple other things I wanted to point out about the controls make them a bit unique for headphones. When the power button is on, battery indicator light is exposed. When the batteries are fully functional, the light will be blue, but if they start to drain, the low battery indicator kicks in and will alternate the blue light with red so you know the its time to change them. Another nice touch that Polk did with the controls is that each has a raised design on the edge of the rocker switch so you know exactly where each button is located for the easiest use. A final tidbit is that there is a built-in microphone on the bezel of the right headphone just below the control center. This allows you to access your phone calls while listening to the headphones, a very handy option IMO, especially for those that will be commuting while using them. I did several test calls using the feature and the Polk UltraFocus 8000s performed flawlessly, as the microphone was crystal clear to the phone handset and the headphones delivered the best inbound phone audio I have heard. Whenever I am working with large over-the-ear headphones, I rank comfort right up there with sound quality on the priority list. Primarily because if the headphones are a burden to wear, then it doesn’t really matter how they sound. Having said that, I suspect that many people might take one look at the UltraFocus 8000s and assume that they may be uncomfortable to wear. Fortunately, Polk has mitigated those concerns with the design of the UltraFocus 8000 to ensure that comfort is a top priority. I noticed that the headband (which Polk touts as being designed to alleviate pressure) never caused me any pressure points. It also connected to the ear pieces with a beefy metal joint that went past 90 degrees to allow the ear pieces to fit the head better. Not all heads are created equally and this design allows Polk to make the 8000s fit comfortably on as many different shapes and sizes as possible. Another point of emphasis is the ear pieces, as they are incredibly soft and just melt into the sides of your head. In fact, one unusual thing I noticed is that the longer you have the UltraFocus 8000 on, the more comfortable they get. I attribute this to the nuances of the design that allow for extra pivot points and the softness of the ear pieces. With any headphone, the primary objective is to deliver clear and concise audio regardless of the source type. When it comes to music, using 128kbps MP3 files sometimes can leave some quality on the conversion room floor. That’s why I like to use direct from CD or high bit rate converted digital music to try and “hear” those small and subtle bits of the songs that give me the tell that the headphones are top notch. To review the audio playback, I grabbed about 25 different songs covering music genres from rock, rap, country, classical, folk rock and everything in between and loaded it up to my phone and hit shuffle. For full disclosure, I used the “rock” preset on the equalizer which is my preferred setting and how I am used to listening to music and the majority of the songs compressed at 256 kbps. As the songs progressed from Crosby, Stills and Nash's “Southern Cross” to Jay-Z’s “Empire State of Mind” and moved to Neil Diamond's “Hello Again” from The Jazz Singer, I started to understand just how special these headphones are. Having listened to these songs many times, both casually and for testing purposes, I kept feeling like I was hearing them for the first time again. What I mean by this is that the Polk Audio UltraFocus 8000s were able to draw out of the songs details that I have “heard” in the past, but not really experienced. One example of this is the tambourine in Jay-Z’s “Empire State of Mind”. With the Ultra Focus 8000’s, the shaking of the zils were very detailed and the little noise it made when it was hit was clearly defined. In other headphones this can be heard, but also gets lost in the vocals and the beat line. In Kid Rock’s “Amen”, the bass drums come through the 8000s like you are actually standing right next to the drums onstage, an experience that wasn’t emphasized by previous headphones I have used. When you play through Katy Perry’s “I Kissed a Girl,” right around the 2:03 mark the audio is mixed to alternate at a very quick pace between the right and left speaker to create a kind of audio “wave” effect. After trying this same sampling of music on several different headphones I have (including two other noise-cancelling over-the-ear styles), the Ultra Focus 8000 delivered by the far the most intense version of this bit of the song. I did have to hit up my baseline testing song that pushes speakers and headphones to their extremes. Queensrÿche’s “Real World” from the 'Last Action Hero Soundtrack' has so much going on in it at all times that it is like a one-stop shop for review material. With Queensrÿche playing their instruments and being backed up by a large orchestra, you can gauge just how well a speaker or headphone can transition from high to low and everything in between. After running through the song on the UltraFocus 8000s a couple of times, I believe that it played the song flawlessly, hitting every note and showing no signs of muddiness that usually happens when the bass drums are pounding away during the instrumental run in the back half of the song. In fact, I pulled out a couple of other highly rated noise-cancelling headphones I reviewed and tested the song again and compared them to the 8000s. I have to say that the Polk Audio UltraFocus 8000s rendered the song the best I have ever heard it and was noticeably better in audio range and depth when compared to the others. After the initial test results, I spent many hours listening to music from a large cross-section of artists testing the performance of the 8000s with deep bass, pristine vocals and just about everything else I could throw at them. This led me to the conclusion that these are the best noise-canceling headphones to date that I have tested or used when it comes to music playback. As far as the noise-canceling, I used it in several different situations to test the effectiveness of it. I spent several days in the office just working with the 8000 noise-cancelling on and they simply took me away from where I was at. The phone, typing and general chit-chat were filtered out and I was left to focus on my music and the task at hand in my computer. I also took them to the mall and wore them around for a bit and while sitting and playing with my phone, similar to something a commuter might experience. Again, the noise-cancelling filtered out all of the busy noises around me and left me to enjoy what I was doing. Just to get this out there, the UltraFocus 8000 headphones are not being marketed as a gaming headphone nor has the design been catered to gamers. Having said that, the best headphones on the market should always have the ability to cross sources and provide the absolute best audio performance regardless of what they are being asked to handle. Because the 8000s use a standard headphone jack, there are a couple of ways to hook it up into your console gaming rig. The most common are to plug it into the TV headphones jack, use the included 1/8” adapter and plug it into your stereo/surround receiver or utilize an analog RCA out cable that has a male headphone connector at the end of it. There is no right or wrong way to do it, but you can improve the audio clarity by going directly from source to headphone to mitigate the loss. I personally used the 1/8” adapter into my surround receiver, as the audio into the receiver is digital and then converted back to analog to be passed to the headphones. Once I figured out my hookup options, I broke out Rock Band 3 for my initial test. After a six-song set using a blend of song genres, I found that the results were much the same that I had with the music tests. In all the songs, the 8000s delivered the game audio very clearly and right down to the finest details. There were many times when I picked up on parts of the song that you usually do not hear when the whole band is playing. This was especially prevalent with the background vocals and backing instruments that aren’t being played and are often drowned out by over-zealous singers or the banging on plastic drums and guitars. One thing I did have to do was tweak the game setting for the music and vocals to optimize the blend coming through the headphones, but I was very impressed with the overall performance. On a side note, while playing with these on, you do tend to lose yourself in the game, as all of those plastic instrument sounds and background noise I mentioned above are pulled out by the noise-cancelling, creating a completely new, and somewhat surreal, gaming experience. I also popped in some The Elder Scrolls V: Skyrim. Similar to the Rock Band tests, the UltraFocus 8000s made a huge difference in the ability to pick up on the subtle nuisances of the game’s audio soundtrack. Things such as the faint roar of a dragon in the distance well before it engages your character, or the unmistakable noise of an enemy moving in an adjacent tunnel or dungeon area to where your characters is. In the past, I have found that while you can hear these specific game sounds when using a good surround setup, they tend to get lost when using basic headphones or stereo speakers. I went on and tested several more games across the PS3, Xbox 360 and Wii platforms that I am very familiar with how the audio sounds on my various surround and stereo speakers I have in the test lab. In all my testing instances, the Polk UltraFocus 8000 headphones allowed the in-game audio to come alive in my ears to a level that rivaled my best surround setup and puts pretty much every gaming headset to shame. This gaming category is dominated by the Nintendo DS and Sony PSP family of handheld devices, so with each accepting a standard headphone jack, it was easy to give the UltraFocus 8000 a test run with each device. I grabbed my son’s 3DS and played some New Super Mario Bros 2 and the Skylanders: Giants title that I am reviewing. I thought both gaming experiences were much better, as the audio coming through the 8000s was so much cleaner and crisp than the 3DS speakers or the normal earbuds we use. I also was interested to see how well it handled the audio from Netflix streaming through the device in addition to games, and I was not disappointed. 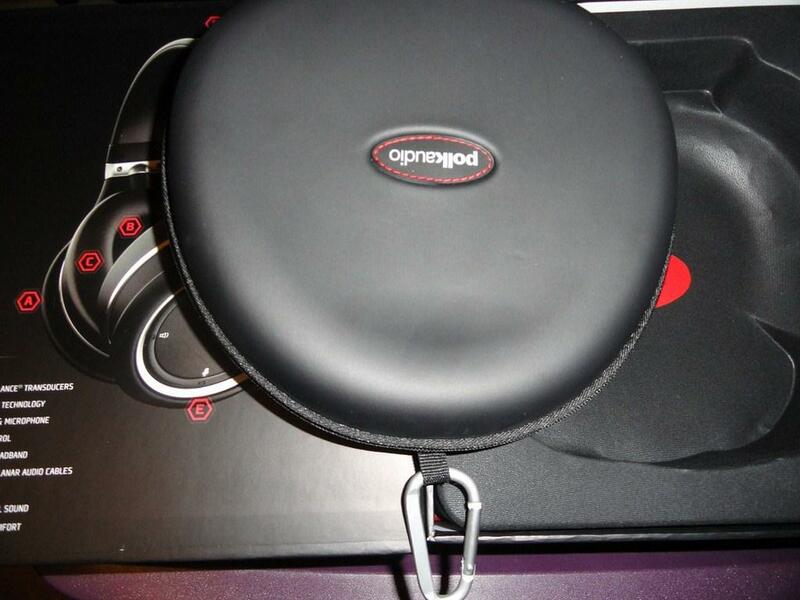 Again, the headphones delivered clear audio for the movies and TV shows that I tested it with. Just to take a walk down memory lane, I also pulled out my PSP-1000 and ran through a couple of games and movies that I have on the UMD format. The audio from both came through even better than the streaming Netflix (due to the format I imagine) on the 3DS and again, it was nice to hear what I should be hearing instead of getting a watered down rendition through the PSP speakers or other headphones. This segment is by far the quickest growing there is. With smartphones and tablets leading the way, casual gaming on portable devices has exploded the last couple of years. Unfortunately, the quality of the in-game audio in many cases hasn’t kept pace, but there are strides being made in this area. Many of the games I tested were casual games you might play while commuting or killing time, such as Bejeweled Blitz, The Simpson’s: Tapped Out, Fruit Ninja and all of the Angry Birds and Cut the Rope titles. I also spent some time playing Skylanders: Cloud Patrol, Tiger Woods PGA Tour 12 and Madden NFL to get a feel for more fully developed titles. The one thing I found is that the UltraFocus 8000s enhanced the game audio to new levels, as I was so used to listening to it through iPhone 4S speakers, ear buds or basic on-ear headphones. Much like the console games and the music testing, there were so many more details that were audible using the 8000s than I had heard with any other method of listening to it previously. After reviewing the gaming audio, I was very impressed with the way the UltraFocus 8000s handled all three types of gaming platforms I threw at it. Surprisingly, I think they really made me take notice to just how far handheld consoles and portable devices have advanced in delivering quality game audio. The 8000s provided my ears with access to sounds within the soundtracks I haven’t heard before due to the lack of quality speakers or headphones while using the 3DS or PSP. What I wasn’t surprised about, but was equally thrilled with, was the quality of console game audio that was delivered. Having multiple baselines to compare against, I thought the UltraFocus 8000s delivered audio better than any headset or stereo speaker that I have used before. It was almost on par with my reference surround system and some of the speaker bars that we have tested previously. What this means is that you can utilize the Polk Audio UltraFocus 8000 headphones in ANY gaming situation and more often than not, improve the gaming experiences significantly over what you are using. 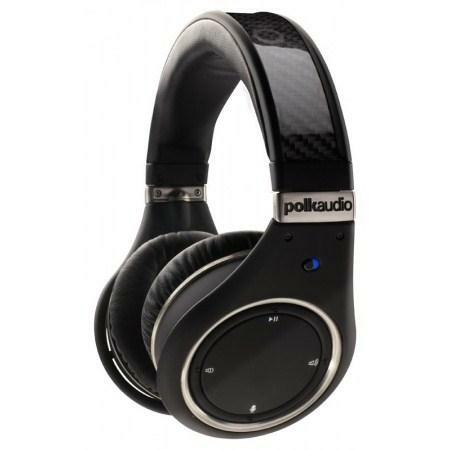 The Polk Audio UltraFocus 8000 headphones are the best over-the-ear headphone I have used or reviewed, regardless of what I was playing through them. I tested them with music, gaming and video playback and I cannot stress enough that the level of performance was superior to anything I have ever put on my ears before. The clarity, audio range and comfort were off the charts for all the formats. The only “negative” I could possibly mention would be that the UltraFocus 8000s are a tad bulkier than other headphones are at this price point, but this is negated by the fact that these are the only headphones I have worn that get more comfortable the longer you are wearing them. So if you are in the market for noise-canceling headphones, I would highly recommend the Polk Audio UltraFocus 8000 as one of your options as they are to me what a true headphone should be. 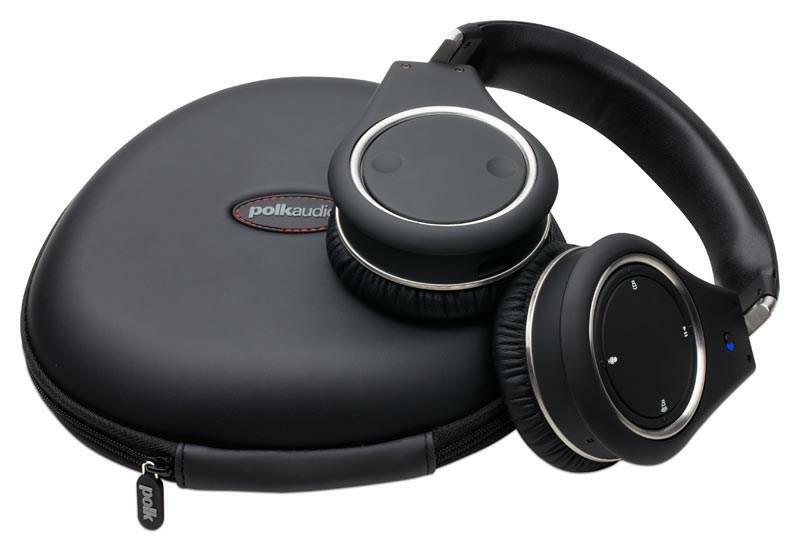 During all phases of the review, the Polk Audio UltraFocus 8000 headphones always provided a superior listening experience, regardless of whether it was music, gaming or watching a movie. Because of this, I believe that they will satisfy the desire in any audiophile or gamer to achieve the perfect blend of comfort, sound quality and listening experience.